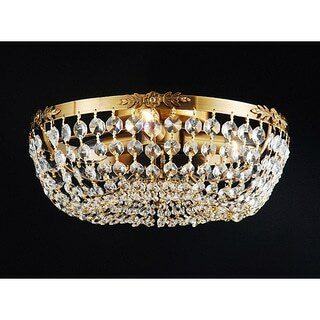 Add a classic touch to your home decor with this crystal flush mount chandelier. This chandelier features three lights and clear crystals. Perfect to hang above your dining table, the flush design of this chandelier eliminates the need for a traditional chain.